As a club member, it is YOUR RESPONSIBILITY to ensure that any of your actions or inactions do not cause harm or injury to you or anyone else. Personal flotation devices (PFDs) must be worn by everyone afloat. This includes coaches, sailors & parents in club patrol boats. No one under the age of 15 yrs may be in control of a club patrol boat, this applies whether there is an adult present or not. The skipper should have completed a certified Rescue Patrol Boat course or be a Wakatere approved skipper. For the launching & recovery of club patrol boats - centre console and larger boats must use the public vehicle access ramp (south/east of the club). Smaller tiller steers may use the central beach ramp. Only persons given familiarisation training of the tractor are allowed to operate this equipment and they must be a club member. Formal training organised by our Safety Rep. 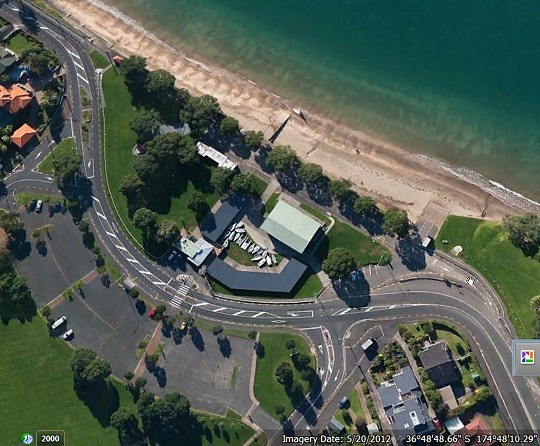 The tractor may never use the central beach ramp. It must only operate on the public vehicle ramp. Within 50m of any other vessel - except when you are involved in a YNZ affiliated sport for training or racing. Stay inside the boundaries of Narrow Neck Reserve when within the 200 metre mark. There are reefs at both ends of Narrow Neck Beach. Our primary first aid kit is onshore in the Race Office (low white cupboards). There are supplementary kits in the kitchen and the Training Room and in grab bags for each patrol boat. During regattas we have a number of Club members with medical training for immediate assistance. Contact the Race Office for details. 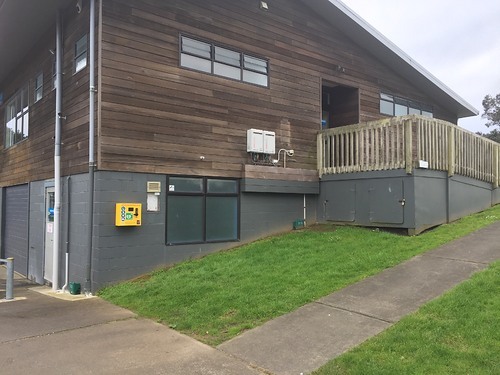 We are fortunate to have Shorecare and North Shore Hospital close by in Takapuna. They are both open for emergencies 24 hours a day. Safety depends on clear communication and Wakatere owns a number of waterproof VHF marine radios for communications afloat. They are in frequent use on rescue patrol boats during racing and report back to 'WakaBase' in the Race Office. This allows us to manage assistance to sailors if required. After each use, radios must be rinsed under a tap (they're waterproof), dried off and put back in their correct charging position in the Race Office or Training Room. 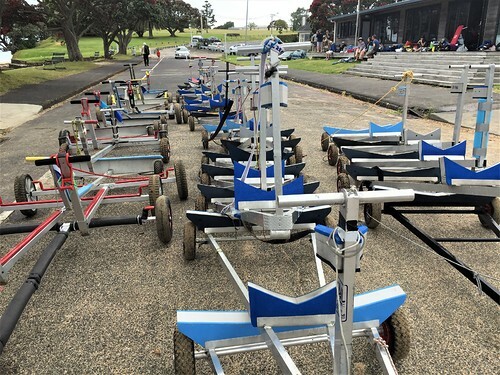 This will ensure they are ready for the next coaching group, club race or away regatta. Radios MUST NOT be left in patrol boats. 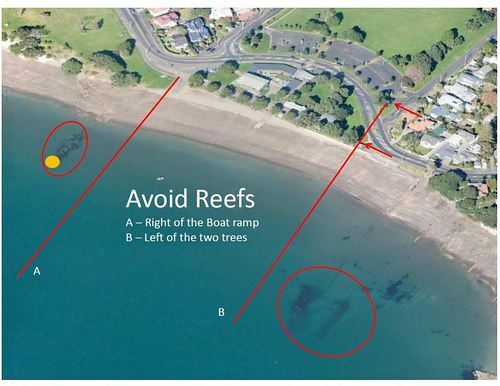 It's a council by-law that all beach trailers be removed from Narrow Neck Beach when not in use i.e. when you are out sailing. This is to provide full and safe use of the beach to the wider public. Sailors, parents and supporters can all pitch in to help with this, even if it's not your own beach trailer, bring it up to the old road. Keep them clear of the cycleway. Wakatere Boating Club is situated within the grounds of a public reserve - Narrow Neck Beach Reserve. The club area is used by children and adults for coaching, rigging and boat maintenance. NO CAR PARKING IS PERMITTED within the club compound during hall hire events or during sailing events. NO PARKING ON THE GRASS is permitted at any time. We are fortunate to have a free public car park directly across the road from the Club. Please use the pedestrian crossing. We ask that all club members be vigilant to ensure that the club grounds are safe for everyone.